Even the word itself makes a mouth start watering. With its cheesy layers and yummy pasta it’s impossible to go wrong with a great meal that tastes delicious. 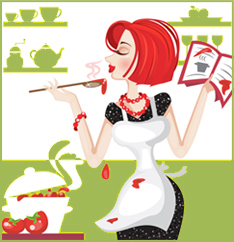 Don’t be intimidated by a recipe that may seem difficult, but in reality is quite simple to master. Here are some tips to calm your cooking anxiety and make it possible to prepare the best lasagna ever. Prepare your lasagna a day before to ensure a successful meal for the next day. Refrigerate it overnight and plan on baking it the next day. The next day let it come to room temperature before baking and then serve it to guests who will be delighted with your lasagna. 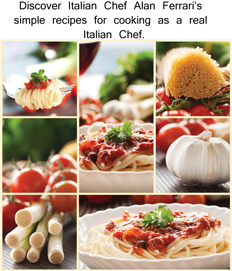 Baking is an easy process and it won’t take that long to make a yummy lasagna meal that will taste amazing. Don’t withhold vital ingredients with your lasagna otherwise it won’t taste nearly as good. It’s important to use fresh whole milk for the lasagna sauce and for the lasagna filling, use cheese with whole milk as well. A delicious lasagna meal will be even yummier if you follow the recipe and cook with ingredients that will make the flavor truly memorable. If you want side dishes to go with your lasagna you can make breadsticks or find garlic bread at a near by grocery store. That way you won’t have to spend extra time making your own garlic break, unless you feel motivated to do so. A Caesar salad is another great side dish as well as other healthy veggies depending on how many dishes you need. Did you know that you can mix and match your noodles? Noodles and fillings don’t have to be a certain kind. Mix and match if you’re running low on a certain type of noodle for a stress-free lasagna preparation. Piecing together different sized noodles may look funny while preparing the recipe, but when it bakes the noodles will come together nicely. Don’t have noodles? Don’t be afraid to think past your noodle preparation if you’re running low on the noodles that you need. Substitute noodles with other ingredients such as crepes, tortillas, or sheets of phyllo dough. They will work just as well and not to mention will taste great too. This meal is very simple and easy to prepare prior to an event. This means you won’t have to worry about preparing the lasagna the day of! If you’d like your lasagna slightly undercooked don’t bake it as long and you’ll have “lazy lasagna” that tastes wonderful. Also, to reiterate more noodle knowledge, free form lasagna is perfectly fine. 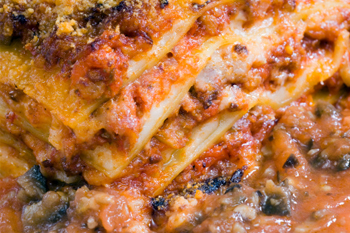 Everything will come together nicely in a lasagna that’s tasty and prepared to perfection. Sierra is a freelance writer and blogger. She loves a scrumptious meal and in particular enjoys a delicious lasagna recipe that’s perfect for preparing ahead of time.